Several weeks ago I noticed the unmistakeable shape of orchid leaves on our front lawn at Ca’ di Bracco. I’ve been carefully mowing around them and waiting to see what they would turn into. 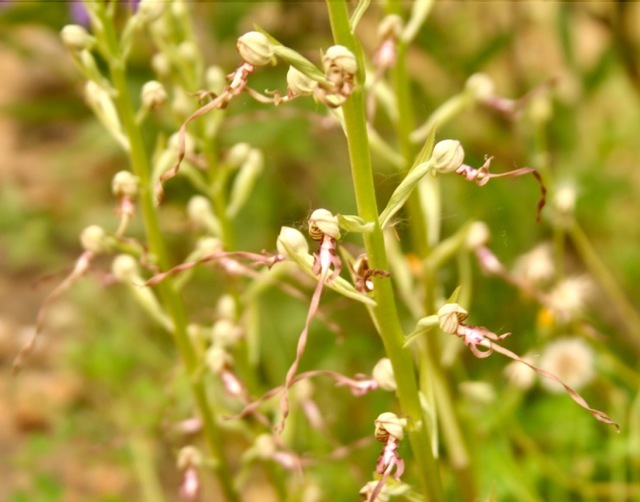 A week ago, I guessed that they were probably going to be lizard orchids, so called because the flower looks like the body and tail of a lizard and in the last couple of days the first lizard-like flowers have appeared. I’ve seen plenty of lizard orchids whilst researching my book, Circular Walks On The Tuscany Umbria Border, but never seen so many in one place and they have never appeared on our lawn before.